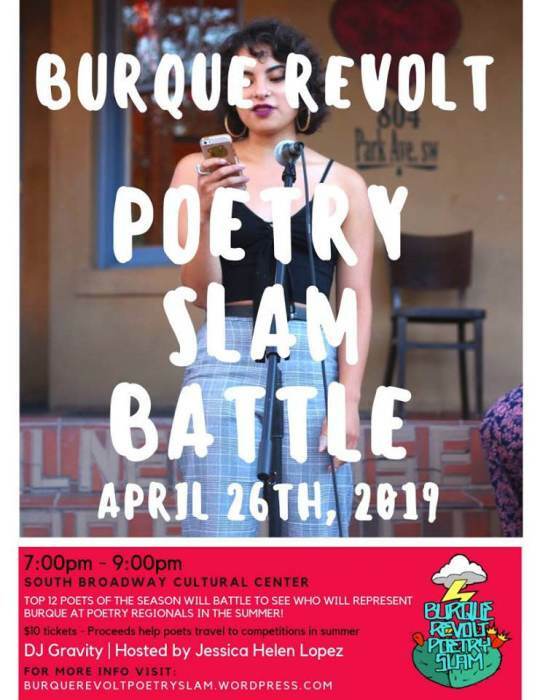 Poets from around the Albuquerque area have been coming far and wide to share their story on the mic! Now it's time to decide who will represent us throughout the Summer at the many different regionals around the country! Burque Revolt is creating a team! And the top 12 poets who have slammed year round will be invited to compete to see who will earn their spot on the team! 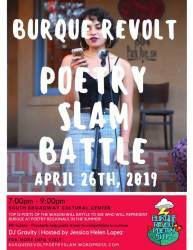 The top 5 poets will emerge as the Burque Revolt Slam Team! Featuring DJ Gravity and hosted by former Poet Laurette Jessica Helen Lopez!